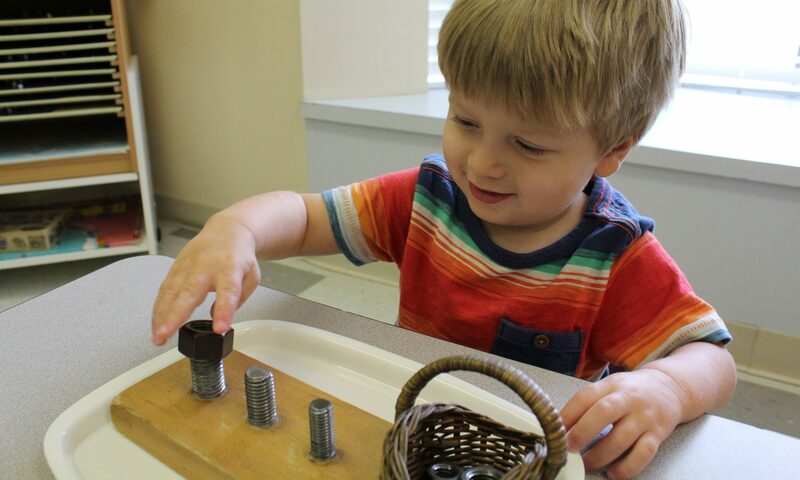 Montessori Preschool at North Cypress is located at 11707 Huffmeister Road, Houston, TX 77065. Built in the early 1980’s, Montessori Preschool at North Cypress is located on Huffmeister Road, with convenient access to Highway 290, the Cypress Metro Park and Ride, and North Cypress Medical Center. The school is directly in front of Cypress Academy of Gymnastics, a US Olympic Gymnastics Training Center, and adjacent to Christ the Redeemer Catholic Church and School. Parents can also easily access the Spectrum of Hope, Milsap Elementary, Lamkin Elementary, Arnold Middle School, Cy-Fair High School and the CFISD FFA Ranch. The school has large, sun-lit classrooms with original hardwood shelving and tables built by a local Cypress family; towering oak trees; an urban patio; a Toddler and Infant deck; and a wooden train handmade by southern artisans. The campus draws families from Fairfield, Copper Grove, Coles Crossing, Cypress Creek Estates, Ravensway, Cypress Creek Lakes, Towne Lake, Copperfield, and Bridgeland. Drop us a note and say hi.